Your Questions have been answered!!!!! N.B. 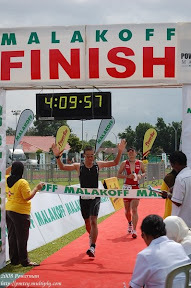 in the open category, I was the only Bruneian. There were no runners from Singapore, Thailand, Indonesia and Philippines in the OPEN category. If next year, I can get under 19mins, my ranking would be in the top 90.